DAY FURS A+ GARMENT. 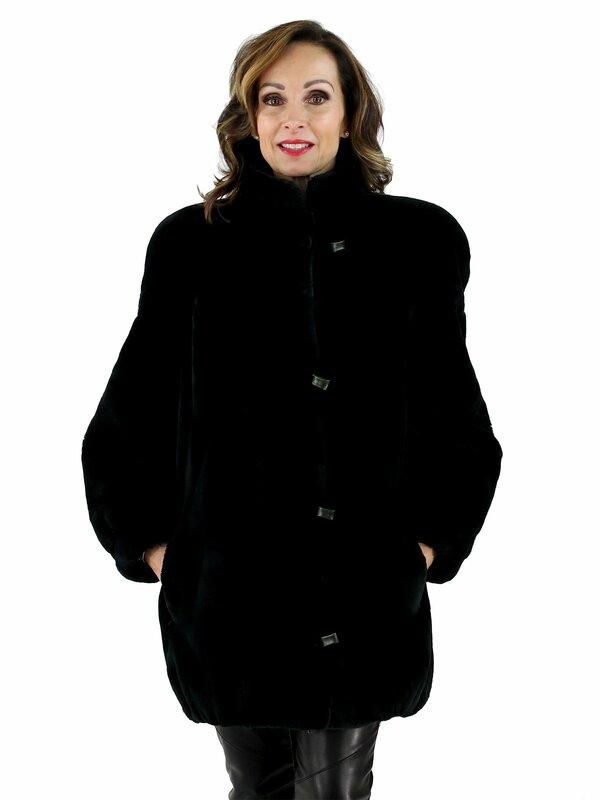 Black olive sheared beaver fur jacket with blouson styling has loose elastic at bottom. Closures include a zipper as well as buttons and elastic loops. Fur and lining are in pristine condition. The star feature of this yummy jacket is its gorgeous color. A high demand fur for its warmth but also for its softness.